Turbofans already produce much less noise than the turbojets used in the 1960s. In general, the higher the bypass ratio, the lower the noise level. It's difficult to silence a jet engine: any silencer impedes the airflow which means a significant power loss. Noise levels are usually expressed in dB rather than %, a reduction by 90% is a 20 dB difference, which is huge. To give an impression: from 1992 to 2000 NASA ran a technology development program aimed at reducing noise by 6 dB. So Stage 3 is a reduction by 10 dB compared to Stage 2, Stage 4 is a reduction by 7 dB. 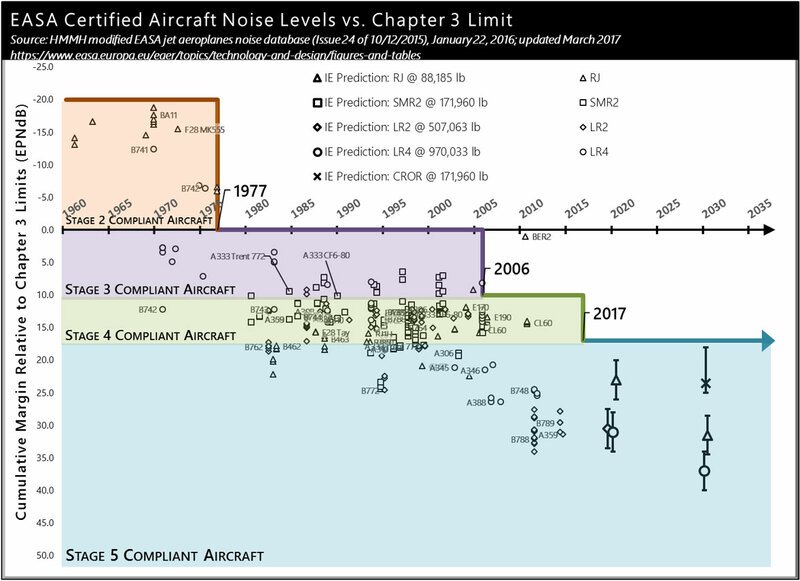 The quietest aircraft are already at 17 dB below the Stage 4 limit. 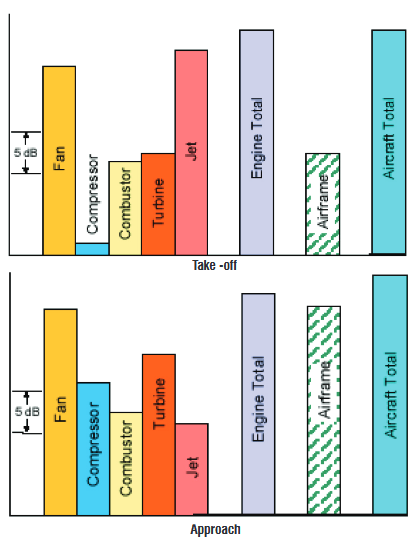 So an engine that 'has the noise levels reduced to about 10%' seems plausible (depending on what you're comparing to), and the graphic identifies a few candidates. Not the answer you're looking for? Browse other questions tagged jet-engine propulsion or ask your own question. What's that component between the engine and wing? Will the Boeing 737 be built with a geared turbofan engine?